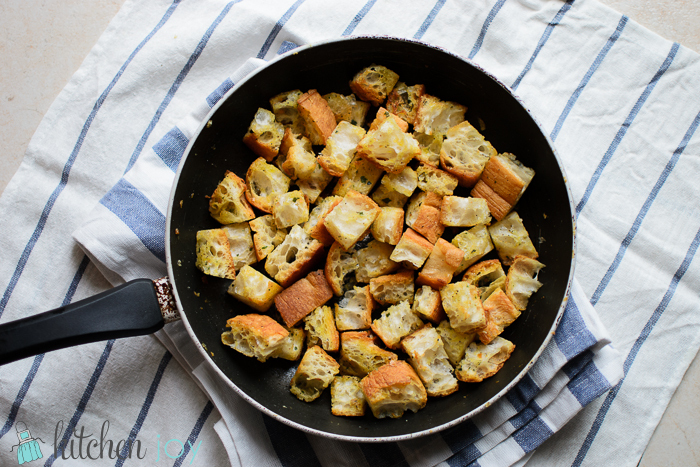 Making your own croutons at home is a quick and easy way to use up leftover bread, and they taste much better than store-bought! 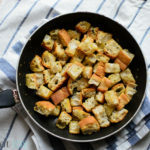 Use these Parmesan Skillet Croutons to add some crunch to your favorite salad, or to make Fresh Tomato and Mozzarella Panzanella. Toss all of the ingredients together in a bowl until the bread cubes are well coated. 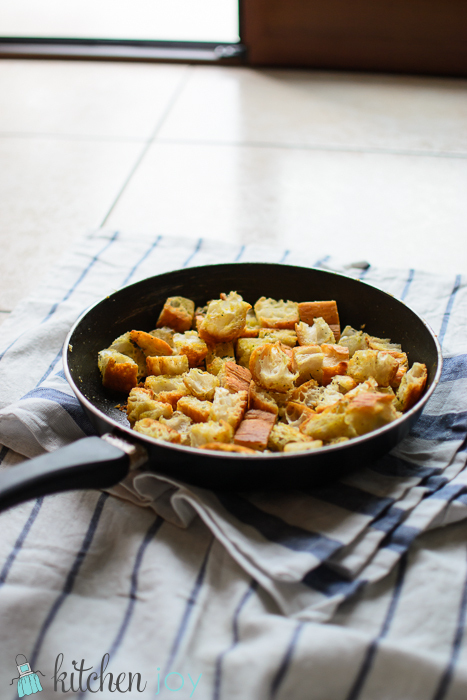 Add the seasoned bread cubes to the pan and cook, turning occasionally, until golden all over, 5 to 7 minutes.